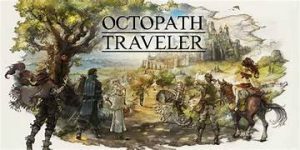 Octopath Traveler is an RPG where you take control of eight travelers, each with their own story and unique set of skills. * Pick any one of the characters to begin their story and build your party in any order you wish. * Each traveler has their own strengths and weaknesses that will be useful against the huge variety of enemies. * Your party will consist of only 4 of the travelers at a time – but you can switch them up at any of the towns. * Octopath Traveler truly allows you to play in any way and in any direction you choose. 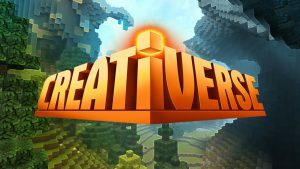 Creativerse takes place in a procedurally generated world of blocks where players interact with flora and fauna, craft items, build constructions, and more. * “Creativerse Pro” provides 20 extra inventory slots, the ability to create as many worlds as you like, and other perks like a flashlight and glider. The year is 1604. You sailed from England expecting to join a struggling colony on the coast of Virginia. Instead, you find only ghosts and mysteries. What catastrophe blighted the land and drained it of color and life? * If you are not a patient gamer – and you don’t have the ability to actually READ text while in a video game – then this is NOT the game for you. – Large, open environments. Choose your own path in search of clues and treasures. – Two distinct worlds (switchable) featuring different enemies, obstacles, and threats. – Use early 17th century weaponry (muskets, bows, crossbows, and tomahawks). – Upgrade your arsenal by purchasing/finding faster, deadlier, longer-ranged weapons. – Choose your own fighting style (High Stealth, Brute Force, Somewhere in-between). – An interesting movement-based stealth system lets you hide in plain sight or use the wind to mask your footsteps. – Equip ability-enhancing Charms to augment your play style – granting anything from extra health to faster movement to improved stealth. – Play with the default visual style for maximum creepiness and tension – or customize the color and contrast settings to suit your tastes. Originally Join your friends and become an Ark Hunter in a massive cooperative online shooter like no other. Choose from an array of fully customizable weapons and classes, explore a unique futuristic open world, and engage in epic fast-paced third-person shooter combat. * Best graphics I have seen in a console based MMO. * Classes feel different and relevant, the class system gives a completely individual feel with each class you play. * At initial release, enemies and quests glitched out quite a bit. This rendered the game almost unplayable. This has since been fixed. * Randomly crashing when in the bigger events, or when near a large group of players. – 5 classes (Assault, Combat Medic, Assassin, demolitionist, and guardian) that bring the true MMO feel. – The classes are completely hot swappable on one character. Again this is the most promising MMO on console I have seen to date. This is the first MMO that has come even close to capturing the magic of the PC MMO culture that I grew up with. I see a bright future ahead for this title and definitely recommend checking it out upon release on 7/10! Additional Note: Many of the glitches and disconnects were repaired – it seems – in a hotfix update overnight.